Day 2 of summertime adventures with my 10-year old niece. 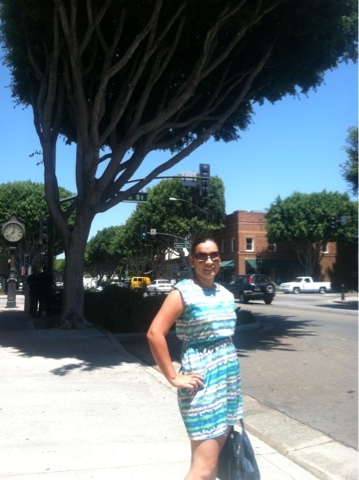 Today we decided to grab some lunch in downtown Tustin (about a ten minute drive from home). 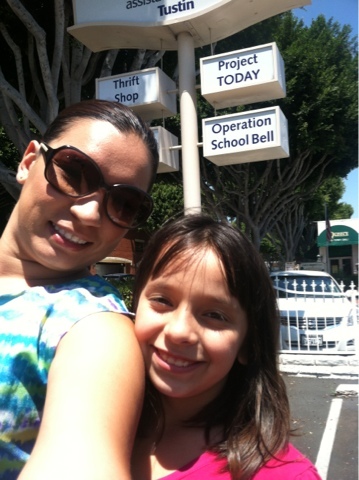 We parked in downtown Tustin and our itinerary consisted of visiting the Assistance League, having lunch at Rutabegorz and visiting the Tustin Public Library. Similar to downtown Orange, downtown Tustin hosts a local Assistance League. 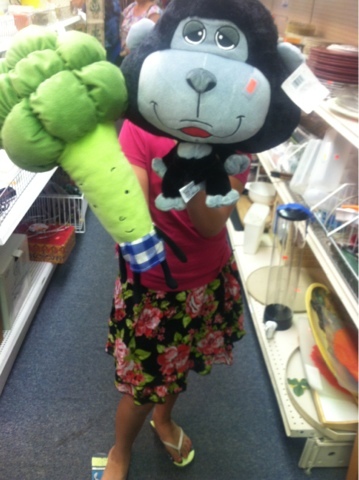 We made a visit to the Assistance League and my niece was able to walk out with two new toys at 50 cents a piece. I saw a few cute sweaters, however I thought 7 dollars was a bit too high for a thrift store price. 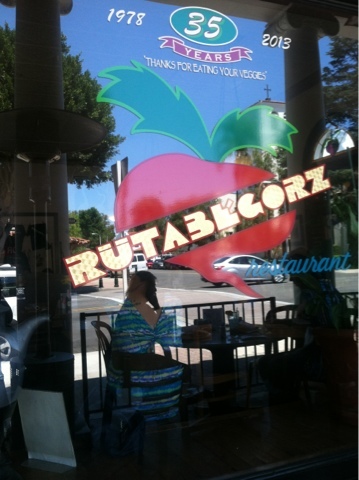 After the Assistance League, we walked around the block and had a wonderful lunch at Rutabegorz. I had the half tuna sandwich with a Caesar salad. My niece had their children's pasta with white sauce. The restaurant was quite busy, however we still had great service and the drinks and meal came to the table at just the perfect timing. My niece had a ginormous hot chocolate and I ordered a coffee for a drink. Their coffee was delicious. I highly recommend this place for lunch. 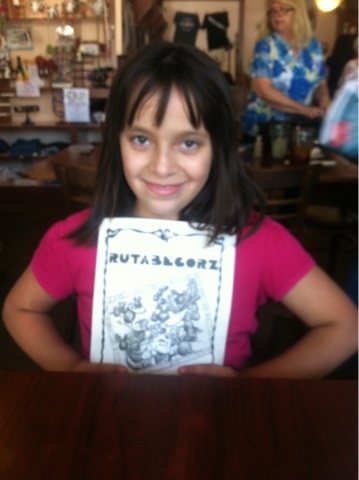 After lunch, we went to visit the Tustin Public Library and enjoyed our brownie that we purchased at Rutabegorz. I was particularly interested in finding books by Latino authors however their Spanish collection at the bookstore was very limited. Although we didn't walk away with any books, it was a great half-day outing at our neighboring city.